1. Clean cherry tomatoes and cut them into halve. 2. Sprinkle salt, black pepper, olive oil, minced garlic and rosemary over tomatoes. And mix them well. 3. 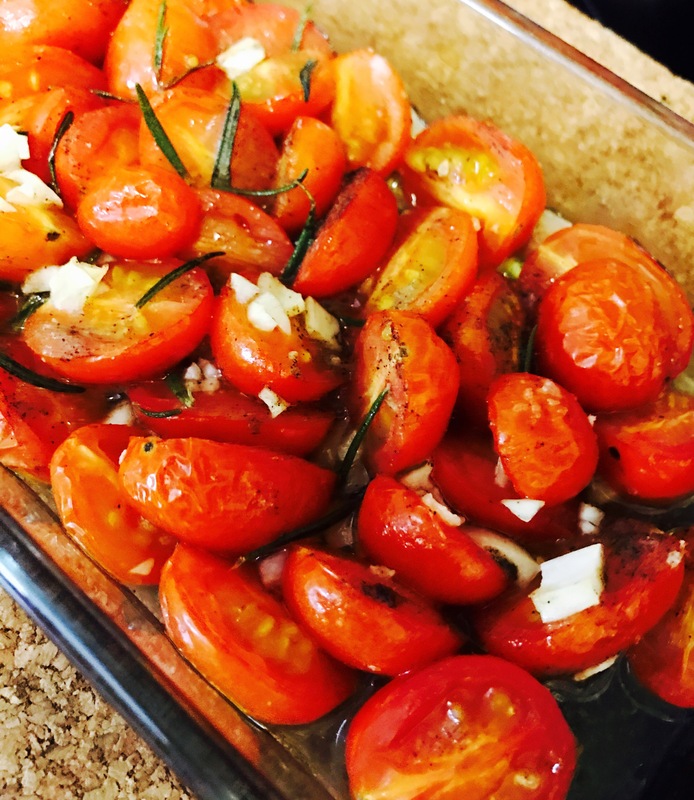 Place tomatoes in baking pan and then put into oven. Bake for around 30 mins. If you want them to be drier, you can prolong the baking time. Roasted tomatoes can be used in spaghetti or other dishes.